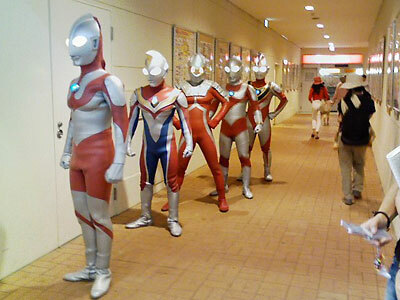 When I was going through past issues of my favorite entertainment website, which I often use to find a source article for Japan Style, I found an interesting article. 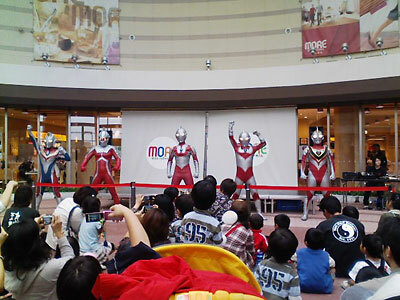 This is an Ultraman show, performed in a shopping mall. 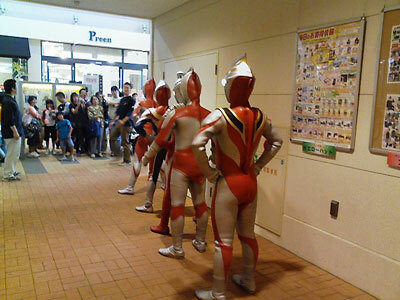 Interestingly, the way they stand do make them look like heros! Another image taken from the front. By the way, I wonder how their eyes can be lighted like that?? It’s not electric lighting, is it?